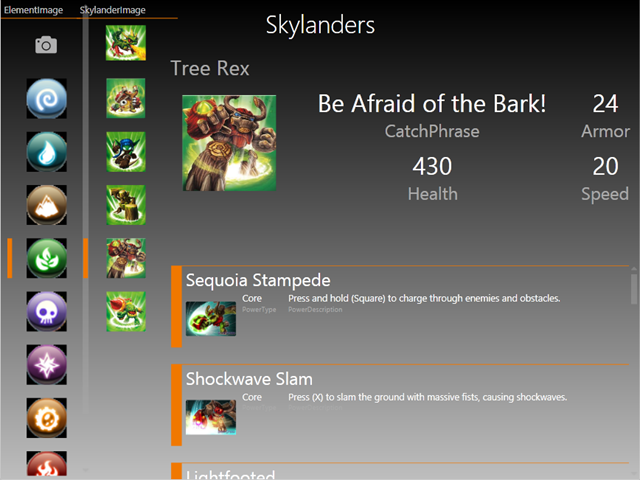 I had a lot of requests for the Skylanders BI Application I showed off at the BI Power Hour, so I’ve made it available on skydrive. For those that missed it, the “app” is an Excel workbook which uses Power View (on top of Power Pivot) that I created to help my kids made better decisions as to which toys they should buy. The content in the workbook comes from the Spyro wiki at Wikia and is licensed under the Creative Commons Attribution-Share Alike License. I am working on a Pokémon for a DB/BI demo at my daughter's school. I thought I could use Matt's Skylander's as a base. I saw him demo it at Summit. I will definitely upload it when I am done. It won't be nearly as good as this. I can't believe I used the possessive Skylanders instead of plural. Obviously not enough coffee today.